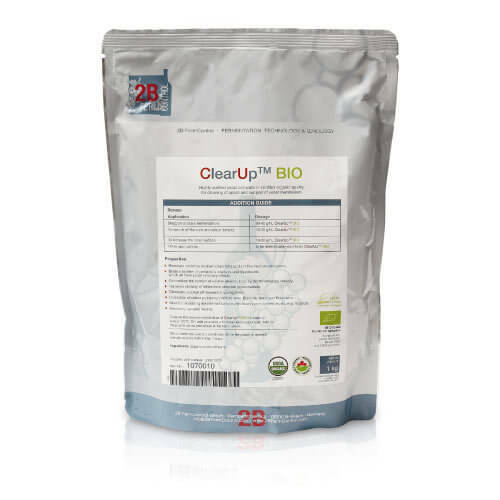 Clearup is a novel, highly purified organic yeast cell wall preparation. Due to its significantly higher content of lipids it has multiple properties which are desirable for modern winemaking. Among those is the absorption of fermentation inhibiting fatty acids, as well as pesticides or even mycotoxins that are often responsible for arrested fermentations. Clearup can also eliminate a number of sensory off-flavours such as Brettanomyces, negative thiol characters and sulphur off-flavours. 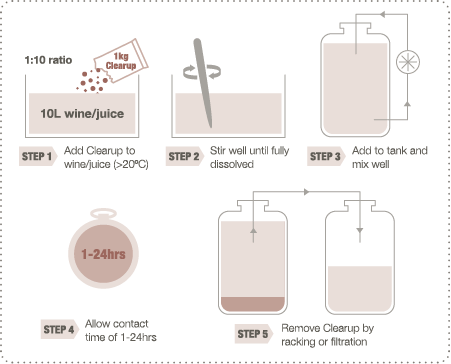 Clearup has a multitude of uses and can also be used to clean up dirty juices in difficult vintages, increase NTU levels in heavily clarified juices (resulting in better fermentation dynamics), and for improving the sensory profile of wines from stressed fermentations. For all applications it is important to ensure that Clearup is well suspended and well distributed in the wine.